Dr. Verwoerd took South Africa to heights as never seen before and probably will never see again. 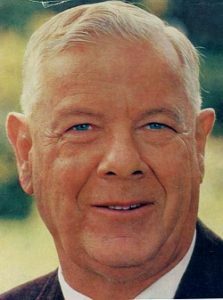 South Africa was economically, militarily and politically at its peak under the nationalist government of Dr. Verwoerd. Dr. Verwoerd was no ordinary man. In his book “At last we have got our country back” G.H. Calpin wrote of Dr. Verwoerd. “He was the kind of man who might instinctively have invited the dislike of some for the sheer mathematical brilliance of his intellect. He had the mind of a computer”. There is never a shortage of inferior minds jealous of a brilliant thinker. One such an envious inferior mind was Piet Cillie, editor of “Die Burger”, Afrikaans newspaper owned by Naspers who owns several other newspapers as well. The English press being in full control of the Oppenheimers of Anglo American/De Beers. In 1960-1961, this intellectual midget tried his hand at Dr. Verwoerd, but came horribly short. Cillie never forgave Verwoerd his excellence and success in running South Africa. Verwoerd was a man of outstanding character. When the whole world was ganging up against Ian Smith’s Rhodesia after declaring UDI, Verwoerd refused to institute economic sanctions against the Rhodesian government, declaring his full support for Rhodesia. Another victory of Verwoerd was the one over the UN on South West Africa, Namibia at the International court in The Hague. What happened was basically that South Africa in 1914 (as a British colony) annexed South West Africa (German colony). After the First World War, Germany was bankrupt and Britain did not want a vast desert to administer, so the League of Nations gave South Africa a mandate in 1920 to administer the territory of South West Africa, which it did very well. Under SA rule, SWA reached development on par with SA and Rhodesia. The mandate allowed SA to apply its laws in SWA as an integral part of South Africa. It further stipulated :” The mandatory shall promote to the utmost the material well being and the social progress of the inhabitants” It further required, “freedom of conscience, and religion, prohibiting the slave trade, trafficking in arms and liquor, and preventing the establishment of foreign fortifications and military basis on the territory.” The plan against SA was to bring charges of human rights abuses in South West Africa against the South Africans. That would give the UN the right to invade South West Africa as well as SA. Ethiopia and Liberia, on behalf of the African block laid the charges in 1962 at the International Court of Justice. Their evidence was the usual nonsense uttered at the UN General Assembly and that of so called “petitioners” – self-styled political exiles from SWA. Charges were amongst others, “Exterminating the native inhabitants and militarizing the territory”. These people soon realized that making unsubstantiated allegations at the UN general Assembly is totally different to delivering proof in a court of law. SA delivered a written presentation of 3000 pages, called 15 expert witnesses out of 38 presented. The evidence showed amongst others, fifty countries which , by law and official practice, differentiate between groups, classes or races – forty of them members of the UN at the time, including Ethiopia and Liberia themselves. South Africa refused to accept the written allegations by the “petitioners” and wanted to get them in court and cross examine them, but at no stage was Ernst Gross, the American lawyer on behalf of the African states interested in calling any “petitioners”. South Africa even offered to pay all their expenses, just for a chance to cross examine them, but to no avail. Nevertheless, the court ruled in favour of SA and dismissed the nonsense of the African bloc. Despite their defeat, the UN voted in 1966 (114-2) that SA ‘s mandate in SWA have ended. Verwoerd would not be forgiven for this victory over the UN. He thwarted the invasion plan drawn up by the Carnegie Endowment for International peace and wiped his backside with their blueprint called “Apartheid and United Nations Collective Measures”. Verwoerd also practically annihilated the British and American sponsored opposition parties (United Party and Progressive Party) in the March 1966 general elections. There was only one option left, Verwoerd had to go. Nine days before the Death of Verwoerd, “The Sunday Tribune” (Durban) published a front page article written by Aida Parker, headlined, “Verwoerd must go plan : Cape Nats back Anton Rupert”… and …”The knives are out in the National Party …” Anton Rupert was the billionaire of Rembrandt and Rothmans tobacco. He was also a CFR member. During WW2 he was anti-British, but after the war he dropped his Afrikaner Nationalist friends and became an exponent of a “Pax Americana”, hosting Bobby Kennedy during his 1961 visit to SA and fully identified himself with the British-American interest and objectives for South Africa. Piet Cillie, editor of “Die Burger” was spearheading the plan to replace Dr. Verwoerd with Anton Rupert. When Jaap Marais wrote a letter to Cillie asking him about the report in “The Sunday Tribune” and what the options was to get rid of Verwoerd seeing that a vote of no confidence was out of the question, Cillie refused to answer and threatened Marais with lawyers. Marais was researching it for his book “Die Era van Verwoerd”. He never heard from Cillie or his lawyers after that. At the time of his death, a Greek ship called, “Eleni” was in Cape Town for almost a month, undergoing repairs. Tsafendas, the assassin, frequently visited the vessel and tried to buy a weapon from the crew. Three days before the assassination, people on the ship asked people on the quay whether they knew that Dr. Verwoerd was dead. It also came out in the enquiry afterwards that Tsafendas visited the vessel almost daily and bought a pistol and a tried to buy a knife. Another interesting point is that “The Evening Standard” of London carried the following report : “Young man on Dieppe-Newhaven ferry asked if there was any news of the Verwoerd assassination – last Friday (ie 2 September)…” The report stated that a liberal politician, Allan Thomas was reading his paper when a young man approached him and asked him if there was any news on the assassination of Verwoerd…Four days before the assassination. It appears that even in the UK there was advanced warning of the coming assassination. Over the years we have seen many assassinations such as that of Abraham Lincoln, J.F. Kennedy, Bobby Kennedy, John Lennon … attempts on Reagan and the Pope … and in every instance the killers were so-called “Lone nutters”. Such is the general belief in the case of Dr. Verwoerd as well. The truth is rather different to what most people today believe. As early as 1937 Demetrio Tsafendas was identified as a Communist and the SA authorities refused him a permanent residency visa. He later admitted that he joined the Communist Party in 1939. He was born in Mozambique. His father was a Greek sailor and his mother was a mixed race Mozambiquen. In 1941 age 23, he joined the Merchant Navy and started sailing all around the world. In 1946 he was taken up in the North Grafton hospital in the USA where they noted he joined the Communist Party at the age of twenty and was faking mental illness because he was scared to go back to the ship due to leaks on the vessel. In 1947 he was again refused permanent residence in SA due to being a Communist and in 1959 his name was placed on the Black List of the Department of Home Affairs. In 1959 whilst in Britain he was noticed in the company of radical leftists. Tsafendas himself later mentioned that when they were private, some of these leftists raised the possibility of having the Prime Minister of South Africa shot. Less than a year later in April 1960 came the first attempt on Dr. Verwoerd’s life. A deluded farmer called David Beresford Pratt, who also went to Britain and who have been involved in political activities of the Liberal Party, shot Dr. Verwoerd at close range. Pratt was a brilliant student at King Edward VII Boys’ High School in Johannesburg. He then studied at Cambridge University and obtained a BA (Hons) and qualified as a chartered accountant. He went back to SA to help his father farm. He had two children from his first wife and then later married a Dutch woman he met in SA. Pratt showed very strange and neurotic behavior. He lived in a 35 room mansion filled with treasures and antiques. At times he would go missing and stay with the homeless in Johannesburg returning to shut himself inside his mansion for months. He was also reported to be charming. On the morning of 9 April 1960,he took his 22 Pistol to the Rand Easter Show. Apparently after hearing Hendrik Verwoerd’s lack of concern for public life, he went up to Verwoerd and shot him twice in the head. Another source (“Transition” issue 75/76) says he was motivated after seeing a group of about 100 black prisoners being bundled into a van. Miraculously Verwoerd survived the attack. After having been examined, Pratt was reported to have been a sufferer of epilepsy for 40 years and from a mental disorder. On 26 September 1960 the Judge President sent Pratt to jail and awaits his fate. He was later transferred to Orange Hospital, Bloemfontein. On his 52 birthday on 1 October 1961, Pratt hanged himself with a coiled-up bed sheet in his room. It became apparent that he had suffered an epilepsy relapse a few nights before he decided to hang himself. It seems as if there was never a shortage of “Lone Nutter Assassins” who wanted to kill Dr. Verwoerd. In November 1963, Tsafendas entered South Africa illegally, and in February 1964 he again applied for permanent residence. In his application he stated that he suffered from no mental illness and a medical certificate to this effect was attached. The immigration board granted him permanent residence. Tsafendas had various jobs. In March 1965 he was medically examined by the South African Railway and Harbours Services and they also found nothing wrong with him. In August 1965 Tsafendas, classified as white under Apartheid, applied to be reclassified as “Coloured”. It was then that a decision was taken to deport him. The Minister of Home Affairs signed a deportation order, but it was not enforced by the time of the assassination. On 20th of July 1966 Tsafendas was appointed as a messenger in the House of Assembly, but only started working on 1st of August 1966. A month later on 6th of September 1966 he assassinated Dr. Verwoerd in the House of Assembly. In one month Tsafendas seems to have gained enough insight about parliamentary procedures to know exactly when the most relaxed time would be for the attack namely just before the proceeding of the day’s events, when MP’s were strolling towards their benches and sitting casually chatting with one another. Tsafendas, in typically cowardly fashion approached Dr. Verwoerd from behind and stabbed him four times … three of the wounds were of fatal nature. A medical doctor in the House who attended to Verwoerd afterwards said “The assassin must have received training in the art of wielding a knife”. An Afrikaans Sunday paper also reported from the medical evidence that it was evident that the assassin must have had thorough training. The first thing Vorster did was to appoint his own commission of enquiry consisting of a total of …one man, who found that there was “no ground for the rumour that the wounds had been inflicted by an expert”. On the 7th of September, one day after the assassination, “The Star” (Johannesburg) had a headline : “No sign of assassination plot. This was the work of a lone killer, says Vorster”. It has to be remembered that Vorster was Minister of Justice, and therefore of Security, making him responsible for the security of Verwoerd. More remarkable was that Vorster started systematically undoing the foundation of all that Verwoerd built up. This would later be carried on by P.W. Botha and F.W. De Klerk who would eventually hand over the country to Marxist Terrorist rule. Nevertheless, the press reported that the Security Police had a file on Tsafendas. When the head of the Security Police was phoned on the day of the assassination, he had a file with him in a short time. Amazingly Vorster promptly issued a statement that “the report that the Security Police had a file on Tsafendas was devoid of all truth”. This was a blatant cover-up. It later surfaced that the Security Police had no less than four files on Tsafendas. Two were destroyed without authority and a third was completely missing. Previously, Dr Verwoerd launched an inquiry into “Die Georganiseerde Geldmag” (The organized money power) known as “The Hoek Report” by Prof Hoek of Pretoria University. This report was finished after Verwoerd’s death and Vorster refused to publish it. Parts of it leaked out in 1969. It found that Anglo American Corporation was the largest private group in the economy, large enough to frustrate government policies. Anglo paid disproportionately low taxes, resulting in loss of government revenue of millions. Hoek pointed out that as an important supplier of key minerals to the SA defense industry, Anglo should be brought under much stricter government control. He suggested that its operational boundaries in South Africa be limited, and restrictions placed on its foreign-based companies such as Charter Consolidated in London. Vorster and his Foreign Affairs minister, Hilgaard Muller (Rhodes Scholar) introduced a strategy called “Détente” which focused on appeasing the Black Communist enemies of South Africa. From 1974-1976 Vorster betrayed the white Portuguese in Mozambique and Angola, allowing the Communists to take over. He betrayed the whites in Rhodesia, introducing economic sanctions against Rhodesia and pressuring Ian Smith to accept Black Communist rule. He also betrayed the whites of South West Africa, by accepting the so-called Western Powers’ Formula (Resolution 435 of the UN Security Council), which laid the foundation for the Communist take-over of South West Africa. Vorster was a “Useful Idiot” whose appeasement strategies fed the crocodiles in the hope that South Africa got eaten last. And indeed, what a feast it was when we got eaten as well. In fact, I think the feast is not finished … yet. Nevertheless, the last bastion against Communism in Southern Africa fell to the Marxist terrorist gang of the ANC/SACP/Cosatu alliance in a bloodless coup, facilitated by F.W. De Klerk … 28 years after the assassination of Dr. Verwoerd. Behind this operation was the British design of using the franchise of the blacks to continue by other means the Boer War against the Afrikaners, preferring Communist rule over South Africa to Afrikaner political power and influence in the sub-continent.